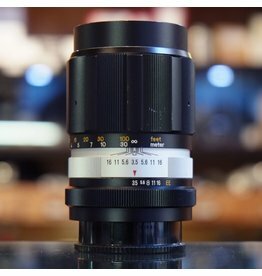 Konica Hexar AR 28mm f3.5 lens in excellent cosmetic condition, with smooth focusing and good diaphragm action, clean glass. Konica Hexar AR 28mm f3.5 AE. Konica Hexanon AR 52mm f1.8 lens for the Konica AR SLR mount. Excellent cosmetic condition, clean glass, good mechanical function. Konica Hexanon AR 52mm f1.8. 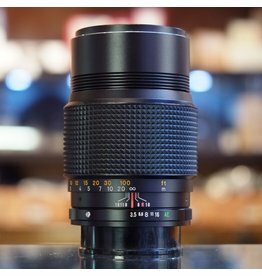 Konica Hexanon AR 135mm f3.5 lens in excellent condition, with some minor internal dust. Includes hood. Konica Hexanon AR 135mm f3.5. 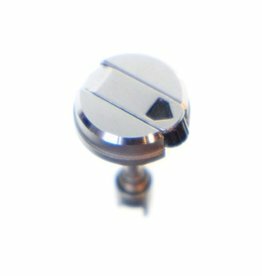 Rewind knob and spindle for Konica Autoreflex T3. May also fit other Konica Autoreflex cameras. Rewind knob and spindle for Konica Autoreflex T3. 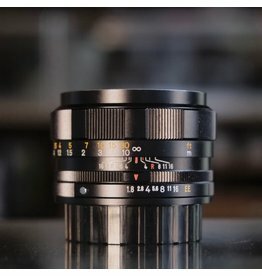 Konica Hexar AR 135mm f3.5 AE lens in excellent condition. No haze or fungus, very minor dust, small engraving mark on lens hood. 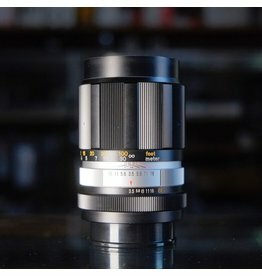 A nice lens in good working order. Konica Hexar AR 135mm f3.5 AE. 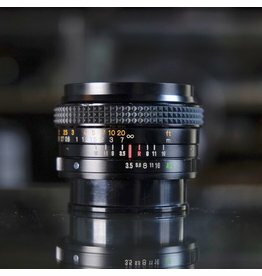 Konica Hexanon AR 135mm f3.5 lens in very good condition, with some minor internal dust.